We want you to be a part of the family. We’d give you a real key to the front door if we could. Instead, with a ‘Key To The House’ you can get exclusive access to some cool goodies! Stay in the loop, have early access to the first listens, your very own physical copy of the upcoming EP’s and album ( signed! ), a selection of signed merchandise, entry to all the release parties and we’ll even add your name to the ‘Special Thanks To’ credits on the full album. The first album will be broken down into 3 separate releases; with the first EP being released onto streaming platforms mid November. The 2nd EP will be released the same way the following spring and not long after will be the release of the full physical album with 12 songs for your listening pleasure. WHAT’S SO GOOD ABOUT HAVING A ‘KEY’? The EP’s will only be released onto streaming platforms. However, if you have a Key - then you will get your own personal, physical copy! Before releasing anything to the world; we would love to get your feedback. 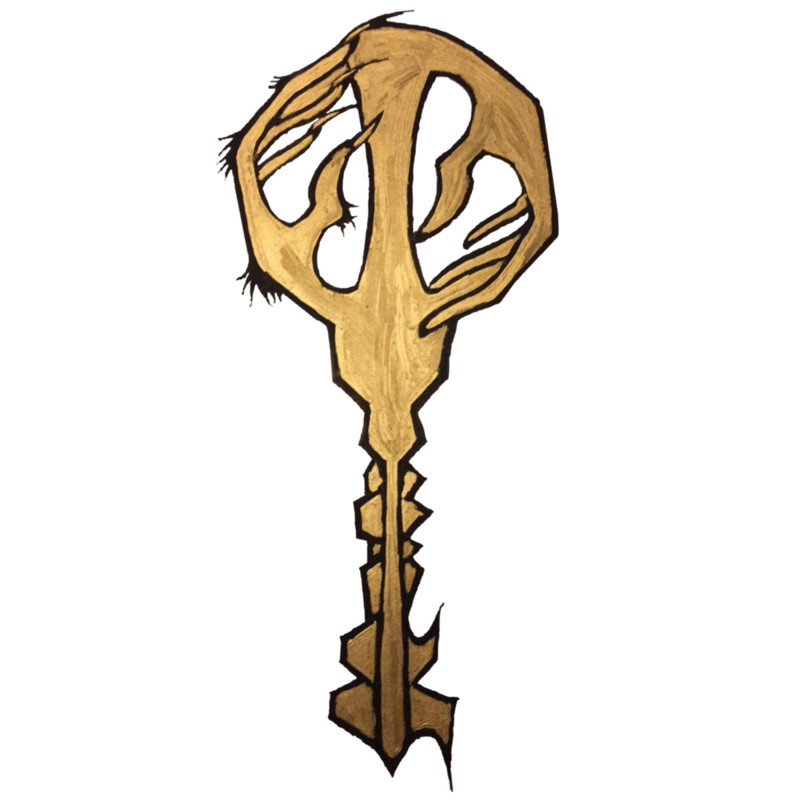 With a Key To The House you will be invited to all the Listening Parties to get the first glance at what will be on the EP! Your name will go on the guest list for each EP and album release party! We’ve got shirts, socks, mugs and all sorts of merchandise ready to be released. With a Key To The House you’ll be able to select your favourite merchandise and be the first to have it; and decide if you’d like it signed or not! Your support means so much to us and we want the world to know that you have a Key. When the full album is released; your name will be in the ‘Special Thanks To’ credits on every physical copy and you will be remembered forever as a ‘key’ supporter! HOW DO I GET MY KEY?